Bummer they took down the chat. It's the fellowship that makes all the difference in the world. BunNo just started this week and they have a Facebook group. Might not be the same as a chat room, but there is a lot of communication. Hopefully you can use the blogs in the same way you used the chats to motivate you for writing, and for interaction with people in general. 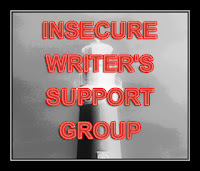 I go on ups and downs with writing and blogging, but I always know I can find support and friends and maybe even just a laugh by following and visiting other blogs. And eventually, if you put it out there, you will find another Writers Group, or form your own. You never know what you will find here in the blogs. I definitely know what it's like to lose that writer mojo. I hope you find it again, in some other way, or maybe reconnect with one of your old friends. Good luck! You're so right about needing the friendship and support of other writers. Only another author understands what it's like. Don't give up. Best wishes for you.